Seamless integration between the University’s student information system and our Course Materials Platform (CMP)TM will allow students to see a personalized listing of the textbooks required for each of their courses, and to order materials for an entire term in less than five minutes. A wide selection across new, used, rental and eBook formats will be offered, and when using Akademos’ proprietary peer-to-peer Marketplace of over 100 million new and used textbooks, students will save an average of 60% off publisher list prices. 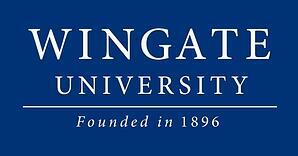 Through the partnership, Wingate students will also be able to leverage free shipping offers and our Learning Management Systems widget to view required course materials through Canvas. The online bookstore will also support the college’s faculty and administrators, who will benefit from an easy-to-use and powerful Adoption & Analytics Portal. This platform offers a step-by-step guide for course material adoptions, recommendations and adoption history, and the ability to compare real-time prices for course materials. The analytics tool will also enable faculty and the college’s leadership to track critical data, including classroom and aggregate student purchasing and bookstore utilization, that can be easily merged with the institution’s student success database.